What is TryMyUI? Does it pay? Is it a scam or legitimate Get Paid to (GPT) site? just like UserTesting, TryMyUI is a platform that allows it’s testers to evaluate different websites while sharing their experiences in which you are paid in return. If you are wondering if TryMyUI is worth your time, read my honest TryMyUI review to find out. TryMyUI Review – Is it Real or Fake Testing Program? TryMyUI is based in San Mateo, California, USA. It is a subsidiary of Survey Analytics, LLC. At the time of writing, it has an estimated annual revenue of $1.7M. TryMyUI is a website usability testing company, which is constantly looking for honest website testers, who can create 15-20 minute video reviews, write accurate website reviews in order to help webmasters and website owners change their projects around for a better user-experience. The end goal of User Testing is to help companies get a unique look as a customer’s perspective and experiences while first encountering their site and even mobile apps. TryMyUI works in much the same way as other website testing jobs. User testing is a site that website owners can go to, in order to get feedback from the public about their sites. You, (the public) are then paid in order to complete short tasks and give feedback on these websites. Sites like these enable website owners to get valuable user feedback on their website at an affordable price. TryMyUI matches ordinary people like you and I with websites that their owners want to have tested. The very first criteria to be able to earn from TryMyUI is you’ll need to be 18 and fluent in English. Registering with the site is free and after doing this, you need to undertake a test using an online screen recorder. This tool will be provided free of cost, and once you’re signed up, you’ll need to record a sample test video along with a written test response. The screen recorder will record everything going on your desktop as you explore a site, including your mouse actions, the links you click, and so on. When you are accepted, you could proceed to do some evaluations and earn some cash. Once you are a tester TryMyUI will send you an email notification whenever you qualify for a test, based on your demographics. As a website tester and reviewer, you need to create a video review of a website (use a special applet to record your voice and actions, while navigating a website and giving critical remarks) and a short written review of a website. The video is to be at least twenty (20) minutes long and you will be paid $10 for every review accepted. The website states that you are likely to get a few tests per week so this isn’t going to provide you with a full-time income. There’s no limit on the number of tests you can do, but expect to get a few each week. You will be marked upon how clearly you can describe your thoughts whilst navigating a site, and how good you are at sticking to the instructions you are given. How fast you act – these tests are first come first serve, so if you want to complete a test and get paid you need to act pretty quickly. A number of tests you receive will also be determined upon your demographic information which you will need to give when registering. What Do You Need To Earn with TryMyUI? (*) Also, just because you’re required to speak English doesn’t mean you need to be from an English native country. User Testing is looking for applicants from all over the world. $10 per test is pretty standard in this industry. TryMyUI sends payments out every Friday through PayPal. Tests are cleared for payment after being reviewed and accepted by their graders. (+) It is free to sign up as a member. (+) The screening process is relatively short – only 2-5 questions. So you are not wasting a lot of time only to find out that you don’t qualify for the test. (+) You get paid into your Paypal account. (+) Legitimate and they do pay their members. (-) It is restricted to only PayPal supporting countries. (-) You need high speed and reliable internet connection. (-) The test can be very competitive as there are many people in the queue to take a test. So, be very fast in your clicking a new test to avoid losing it to others. (-) You can make a few pocket money and it will not make you rich. When it comes to its legitimacy, TryMyUI is definitely a legitimate site. I bet some people claim that TryMyUI is a scam just because the earning potential or invitation rate is low. I don’t think this is a good enough reason to brand something a scam. TryMyUI clearly does pay out rewards to their members. This is definitely not full-time work, just a way to make a few extra bucks doing something fun in your spare time. The earning potential per test is good. The pay is pretty good for the amount of time it takes. The whole experience was professional and the work is honest. If you are looking for a platform to earn some extra cash, TryMyUI is definitely one of them. If you are interested in making passive online income (pocket money) through evaluating websites or app online, you should sign up for multiple sites like YouEye, WhatUsersDo, Userlytics, UserFeel, UserTesting, and Enroll. 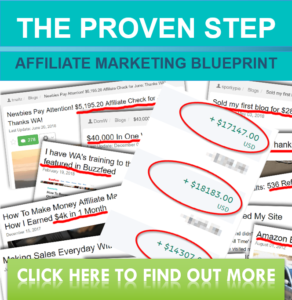 This will give you more tests and a chance at a larger income each month. I always recommend people to join more than one testing site because you will not receive more than three invites per week from one single source. Furthermore, you will have to compete with many others who want to earn some quick and easy money. Next story MyPoints Survey Review: Is MyPoints Worth It? Is It Legitimate or a Scam? Previous story InstaGC Review: Can You Really Make Money With InstaGC?